A free tool that outlines your company and gives you a perspective on how successful it can be. When planning a company, the most important question to ask yourself is "How will it make money?" As a business owner you want to make sure that your company will be a success. This is where creating a Business Model comes in play. A Business Model is a plan created around a company that shows how it will make a profit. This is especially important to have if you plan on asking for any kind of financial help for your company. We have made creating a Business Model easy to complete. Go through each section answering the basic questions we have provided. If you get stuck, make sure to check out the help tabs, marked with a question mark (?) to guide you further. We understand everyone works at their own pace, so take a break and come back with a fresh mind. 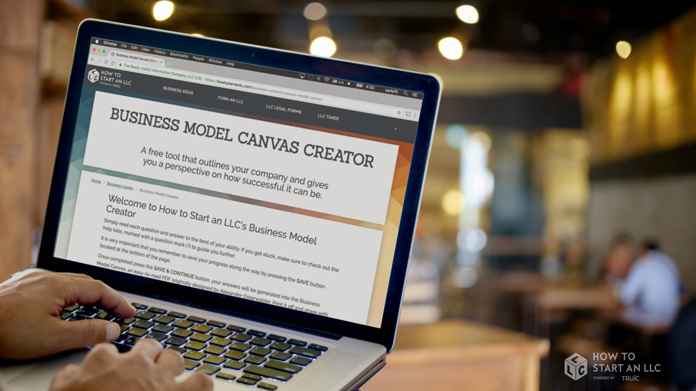 Once completed, your answers will be generated into the Business Model Canvas, an easy-to-read PDF originally designed by Alexander Osterwalder. Print it off and share with potential investors, friends, family, or just yourself.